“I myself” (always wanted to say that, even though it’s ridiculous) discovered a new berry today. Saskatoon Berry. Amelanchier alnifolia. At my local nursery. They’re nothing special, but allright, the proprietor said. I tasted them, and wanted to buy the damned plant right then and there. Before the birds got them. 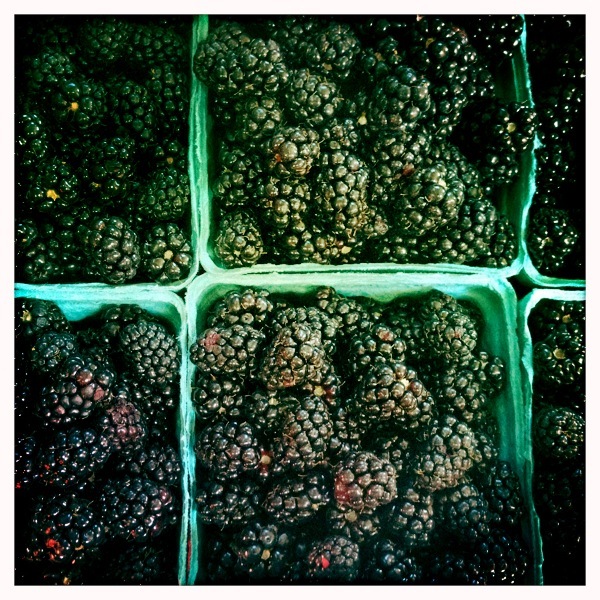 The point being, carpe the berry, go with the moment, and you can’t go wrong. Good on you, Caroline, for seizing the Ollalieberry and bending it/them to your will. Ha! I had the same experience picking up extra lids at the store the other night. Canning is intimidating to those who haven’t tried it, but it really is quite simple. Perfect timing for this challenge. I have never heard of an ollalieberry but they sure are pretty. We are just starting to get fruit in at the Farmer’s Market (like strawberries just showed up last week) and I can’t wait to get to it! Everyone that finds out that I make jam and pickles always says “I wish I knew how to do that!” I offer to teach everybody that says it and no one takes me up on it. I think they would like to but are concerned it’s a lot of effort or something…I just don’t know. I made 3 batches of strawberry jam this year, two using Sure Jell and the third using Pomona’s Pectin. One of the SJ batches was a balsamic black pepper strawberry jam that is deelish! I have to say, we didn’t like the Pomona’s Pectin jam as much, it had a grainy mouth-feel to it. I need to go to their site (where I’m headed next) and find out what I did wrong or if that’s just how it is. I can’t imagine that that’s just how it is. 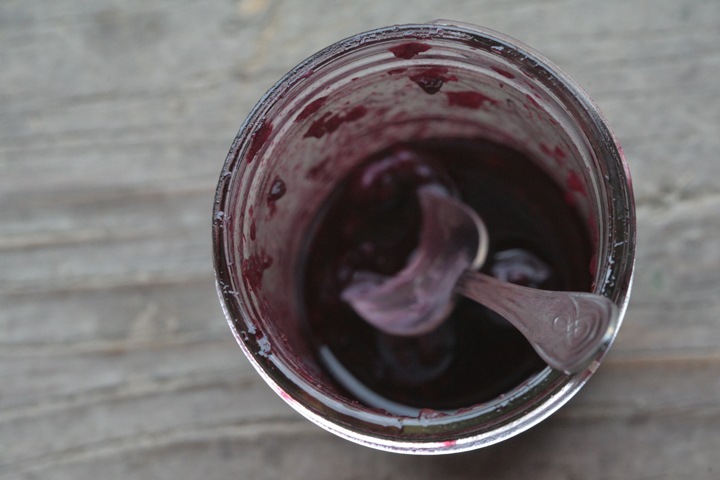 My husband said he prefers the “regular” jam I make, he likes the high-sugar of it…. He is a sugar junkie… He said the PP jam was more like a pie filling. I liked the taste of lower sugar, just not the feel. LOVE reading your posts, you inspire me. Question about macerating – how long is ok? If I threw a bunch of strawberries & rhubarb in a bowl with sugar on Thursday night but had a crazy weekend, is tonight too late to make jam? it’s totally fine to make the jam still. (I assume the strawberry rhubarb mixture is floating in a nice syrup and still looks/smells/tastes good… It should be, that time is not that long. If you notice anything off about it, like little bubbles starting to form because it’s fermenting, then it’s too late for jam. i think you should be ok tho). Thank you!! I did make the jam last night and it turned out better than any jam I’ve made before. Hooray! I actually just cooked jam for the very first time! First time canning, first time jamming! Your recipe for rhubarb jam, actually, + I added vanilla beans and it turned out deliciously! This jam was the highlight of my week last week and perhaps the whole season of rhubarb! Thanks for the recipe. And now that I realize that jam is so easy – at least the pectin-free jam is easy, I haven’t tried the pectin route – I’ve got other jam aspirations in mind this summer. We get great local fruit here in the Pacific NW. I also found a (trusted?) website that recommended baking the jars with the lids on for 10 minutes at 350F, which I did, and listend for 8 pops as each jar did seal. I don’t have a canner, nor a pot big enough for such things, so this method was a great alternative to boiling. I don’t know which method is better, but I liked the simplicity of the baking instead of boiling. I did boil the lids prior to baking so they were as hot as the jars were going in and sterilized. Do you have anyadvice about bake-sealing? PLEASE tell me that’s a typo and I have until JULY 15, not June 15, to make jam! I don’t want to miss a month of the challenge!